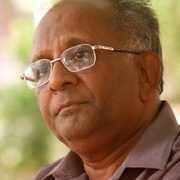 Three years have passed since Comrade Pansare’s murder. I still remember the tremors of that morning’s violence. Sitting with his hand resting on the pavement, just across the house, Comrade Pansare was trying to say something in spite of the immense pain and bleeding that he was experiencing. I can still remember how warm his hands were as we—the children and I—held him with anguished cries. The bitter saga that followed is still not over. Resorting to the legal recourse to bring the murderers to justice is, undoubtedly, the right way to go. But, what is justice? Will it be truly served? Several such questions remain unanswered even today. Experiencing the murder of a close family member and accepting the journey thereon towards a larger, collective, intellectual, and political fight has proved to be most rational today. The protests against the recent spate in the murders of rationalists, and the fight for justice, have not ended yet. Across the country, in various places and through various forums, people are now talking and deliberating over the murders and the challenges faced by the rationalists. People who stand by the democratic ethos and values are coming together. 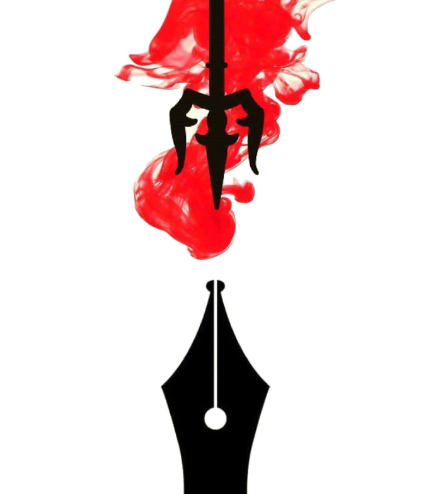 It seems that only writers and intellectuals are wary of the regressive changes taking place in the country. They are able to gauge the possible challenges that these will bring and unrest that they will cause. This is why, after the murder of Professor Kalburgi, they started openly expressing their anxieties and dissent. The whole “award wapsi” movement, of returning the awards, was done to register their dissent. Recently, campaigns like “Not in My Name” have also come up. These socio-political developments in the country will only keep growing. It is when such movements and campaigns gain momentum that there will be a revolution. Recently, there has been an increase in the number of threats, attacks, and killings of progressive writers, poets, thinkers, and anyone else who opposes religious bigotry and supports cultural diversity and multicultarism. There is an entire horde of people trolling them on social media platforms. There are large scale hate campaigns meant to divide people along the lines of caste, religion, language, and race. The Sangh Parivar and Bharatiya Janata Party (BJP) leaders and ministers openly make statements that go against the democratic and secular values of our Constitution. Interestingly, all this is being done under the garb of nationalism. On one side, geneology experts are stating that, today, no race is superior to the other; on the other side, slogans of “pure hindu” have become a political tool. There is no country today that can claim geographical integrity, racial and cultural unity, and common history. Because of years of colonialism, multiple wars, and migration most countries today comprise of multiple races and communities. Geographical and economic unity and a common history are some of the factors that unify India as a nation. Our shared history, especially, is one of the strongest and the most powerful bonds. For the past 10,000 years, the Aryans, Mongolians, Christians, Shakas, Greeks, Huns, Arabs, Persians, and Turks; people from different continents like central and Western Asia, and Western Eurasia; from countries like Tibet and Burma, have migrated and settled here. People came here, got along and mixed with the people already living here. 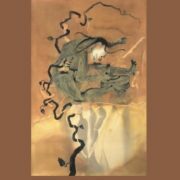 For years, saints and walis, Sufi saints created an atmosphere of tolerance, dialogue, and mutual understanding. While the Hindu and Muslim kings were fighting for political supremacy, the common people of the country were living together in harmony. While the Muslims were the last to rule the country before the British, under the colonial rulers, even Muslims were exploited and discriminated against under the colonial rule. In fact, Muslims were also a part of our freedom struggle. Our philosophy, painting, architecture, music, cuisine, dressing, festivals; people like Kabir, Guru Nanak, Akbar, Amir Khusro, Mirza Ghalib; the Bhakti and Sufi movement; the Urdu language, all these influenced and informed each other. They reflect our rich history of syncretic cultures, what some have called the Ganga-Jamuna culture. So, although they were unable to stop the Partition, our leaders decided to create a secular and democratic republic. The principals that guide the Constitution, in fact, are these very principals of democracy and secularism. For instance, religion and political structures were separated; special provisions were made to protect the rights of minority communities under Article 29. This country has seen Muslim, Sikh, and Christrian terrorists and fundamentalists. We have seen several youth take part in the post-partition violence of 1947, in the Kashmir insurgency, in the Khalisthan movement, in Naxalism, in the insurgency in the North-Eastern states, and several other violent movements. It is important to look beyond mainstream view, which sees these movements as threats to the country’s integrity, or as disruptions in law and governance. Instead, we should see these movements through the lens of humanity. Such efforts, to a certain extent, have been made. One learning that has come out of this is that violence is not the answer to our problems. But, when most Hindus, on being provoked through these hate campaigns, become communalised and turn to violence, then humanity and compassion take a back seat And it is women, innocent minorities, dalits, and rationalists who have to bear the brunt of this. Innumerable Mohsin, Junaid, Akhlaq, dalit brothers and sisters, in Una and other states, have been subjected to this violence. While the majority, at 82%, of those killed by the gaurakhshaks were Muslims, we must remember that the rest 18% were Hindus. The situation in our country is so volatile that a rationalist writer, Sanal Edamaruku, has had to take refuge in Finland because his life is at threat here. This is not just about the killings of those who dared to question the ideology of the ruling government. 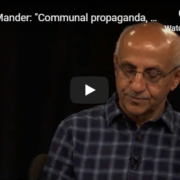 It is an attack on the constitutional values, secular ideology, and the democratic system that people like Dabholkar, Pansare, Kulburgi, and Lankesh were trying to protect. They dared to challenge the Sangh Parivar’s agenda of making India a Hindu nation. They were encouraging people to think, to question, and to dissent. 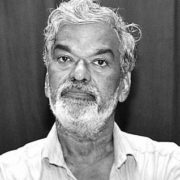 It is important that, as rationalists and as those who stand against violence, we recognise and acknowledge that these murders were politically motivated. 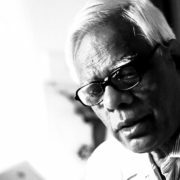 Sarveshwar Dayal Saxena, a famous hindi poet, in his poem, “Nation is not a Map Drawn on the Paper,” questions the indifferent people living in today’s restless and violent times. तो क्या तुम दूसरे कमरे में सो सकते हो ? तो क्या तुम दूसरे कमरे में प्रार्थना कर सकते हो ? Can you sleep in the other room? Can you pray in the other room? We are also faced with the same questions today. Can we breathe freely in an environment filled with hatred and violence? Can we live happily as human beings? Violence or humanity; hatred or love and compassion; superstitions or rationality; these are the choices before us. Are we going to leave behind a rich, cultural life for our next generation or a monotonous one? Democracy or Hindu Pakistan? We need to choose. Decide which side you are on, decide your side. Are you in favour of humanity or are you a murderer. Megha Pansare is Assistant Professor in Russian language at the Shivaji University, Kolhapur. 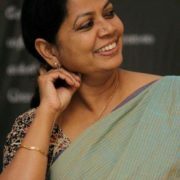 She is also an activist of CPI, now holds the position of President, Kolhapur District, National Federation of Indian Women ( NFIW).